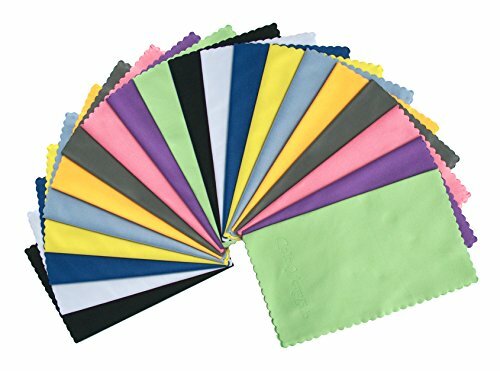 Our premium microfiber cleaning cloth is made of high quality fine microfiber material, it can do a perfect cleaning job without scratching or shedding your delicate device. It works with LCD and touch screens of electronic devices - PDA/tablet, cell phone, digital camera, Jewelry, Watch, telescopes Glasses, Optics etc. Wave pattern edges prevents from fraying and pulling out. Washable (NO detergent and No machine dry) and reusable eco-friendly. Each microfiber cloth is packed individually in a self-sealed polyurethane plastic bag.